Following extensive customer testing and feedback, Anne-Sophie Muller and the UX team have been working tirelessly on improving the left-bar navigation design. Our customers will now be able to perform a search for an entity (Institution, Group, Researcher etc.) or select them from a drop-down menu, and drag them across to the selection panel. We know that you, our customers, are using the Reporting functionality to create and export your custom Reports. 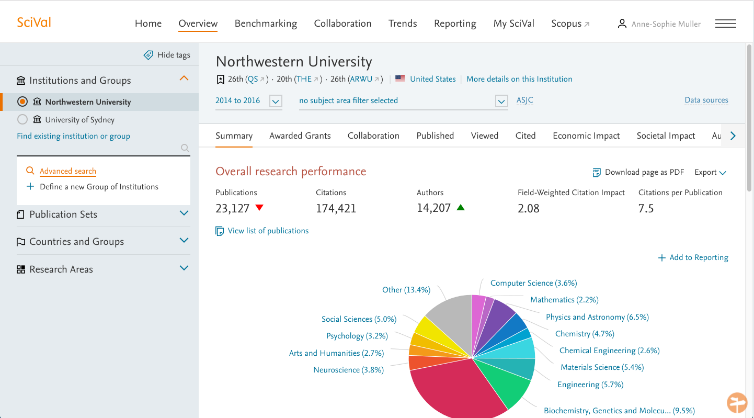 Based upon your feedback, we are now making it possible for you to share these Reports with other SciVal users within your Institution. Fig. 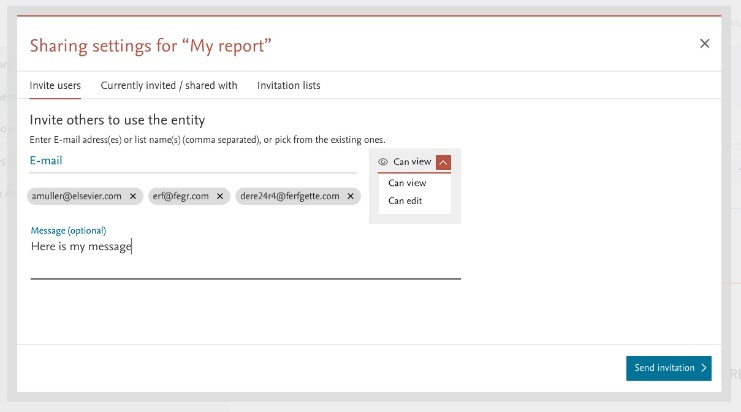 3 You can now invite people to work on your Reports with you. You may choose to give the recipients ‘edit’ or ‘view’ rights. Fig. 4 Those with editing rights will be able to reorder the Analyses and their descriptors. They will not be able to edit the individual Analyses. Have you tried one of the existing guides within SciVal? They are great for learning new tips & tricks and to ensure that you are getting the most out of SciVal. 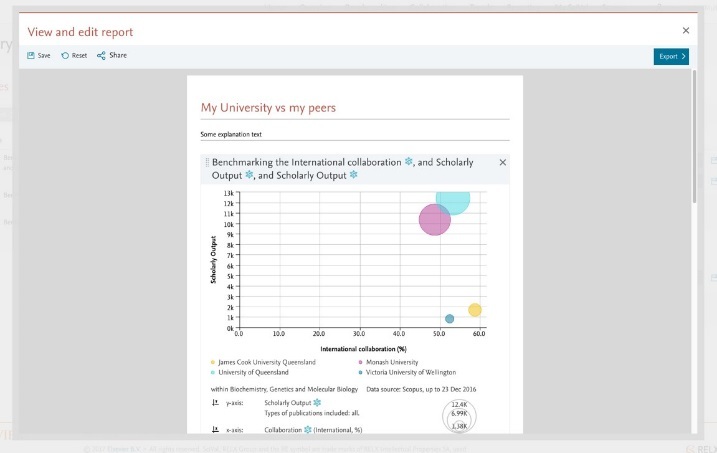 You can now take a virtual tour of the Collaboration and Trends modules (virtual tours are already available for the Overview and Benchmarking modules).